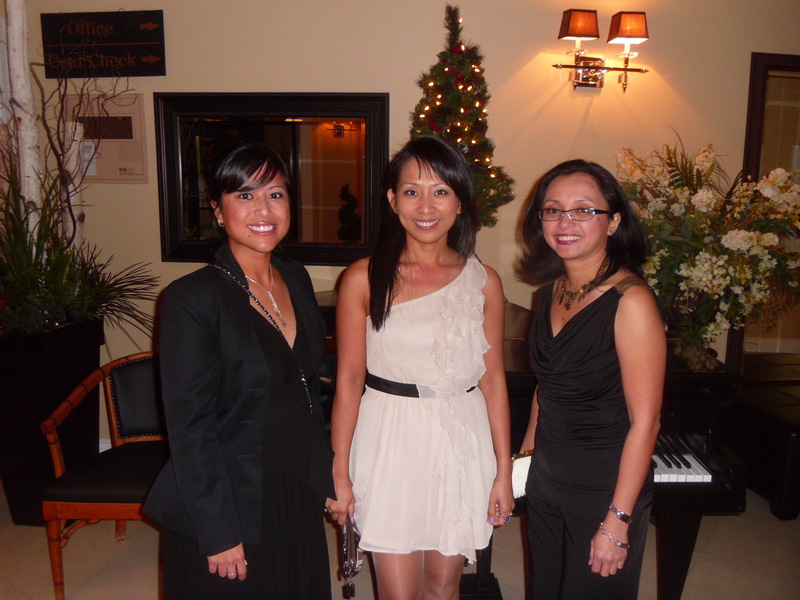 Saturday Nov 26th, 2011 was Maria`s Annual Christmas Party for Credit Valley Hospital at Le Dome in Oakville. 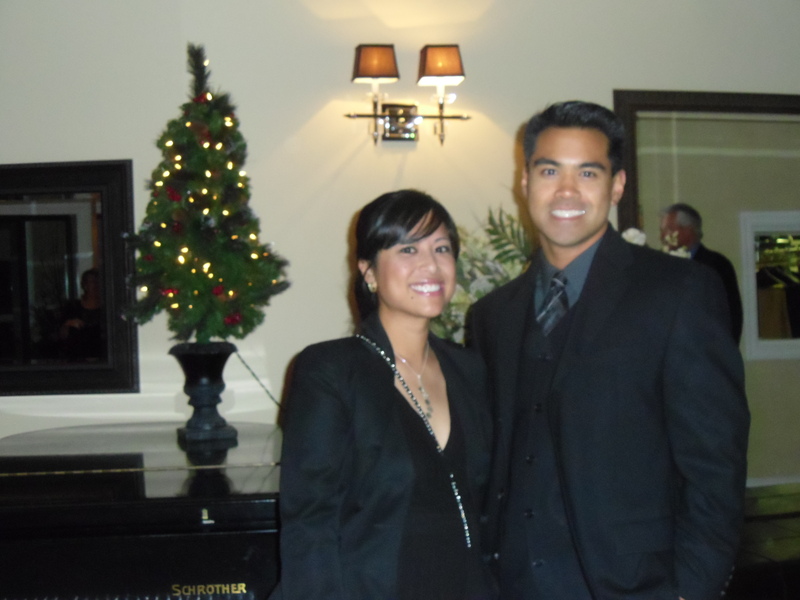 Last year was the first time we attend this event, and we had a great time. We had about ten tables from the Radiation Therapy Department, so the dance floor was dominated with a lot of Maria`s co-workers. This year the Party was still going to be held at Le Dome, but they were able to get a bigger room because they were expecting more people. As expected, the room was much bigger than last year… And it was fancier too. There were white drapes which surrounded the dance floor and big fancy gold ornaments hanging from little chandeliers around the room. A nice arrangement of poinsettias were at each table. This year the Radiation Therapy Department only had six tables, but we did represent on the dance floor. The meal was nice too. Shrimp & onion dumplings & cheese balls were served as appetizers during the mingling part of the evening. Then we were served salads, a pasta with a cheese filling for the pre-dinner, a nice tender beef with potatoes & veggies for the main course and a mocha/chocolate ice cream for dessert. The dancing portion of the evening would have been perfect if the DJ was better. He chose to play songs to their entirety, to the point where they would even fade out to a stop, then I guess he would press play on the next song which would start with it’s who introduction and end. Some of the songs he played, I never knew had so many versus before. Maria & I tried to make the best of it, however a lot of the other guests kept on leaving the dance floor and coming back on when they heard a song that they liked. 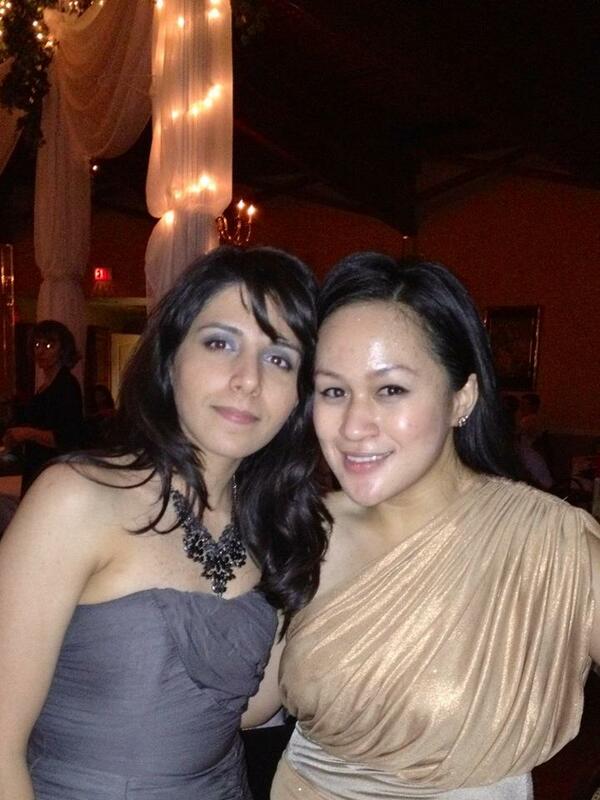 Overall, it was a pretty fun party… Radiation therapists do know how to party! Just another day in the life of a Mississauga Chiropractor.